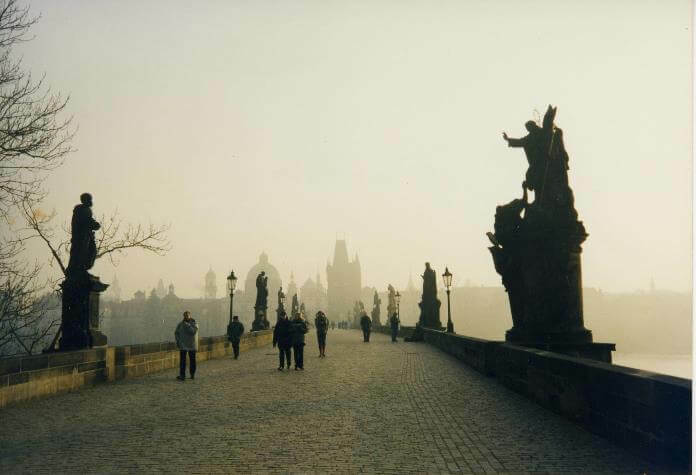 No one returns from Prague without stars in their eyes. Much of this is due to the sheer physical beauty of the Czech capital, which for more than a thousand years, has been endowed with some of the most exquisite architecture in the world. Even more amazing is that it’s somehow survived war upon war, particularly the devastation wrought by World War II. 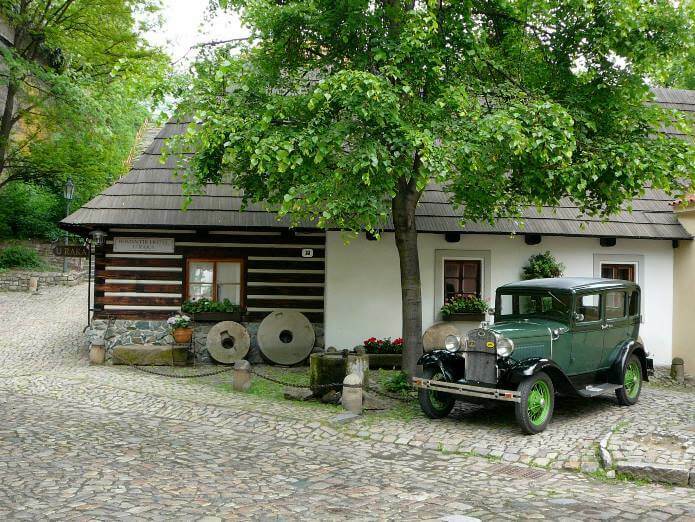 From the fairy tale Prague Castle to Charles Bridge to Old Town Square, and all the windy cobbled streets in between, Prague becomes, in effect, an outdoor museum of every era of architecture since medieval times. For hotels, that’s a major bonus, making it possible for guests to travel through time, starting with these 6 hotels. 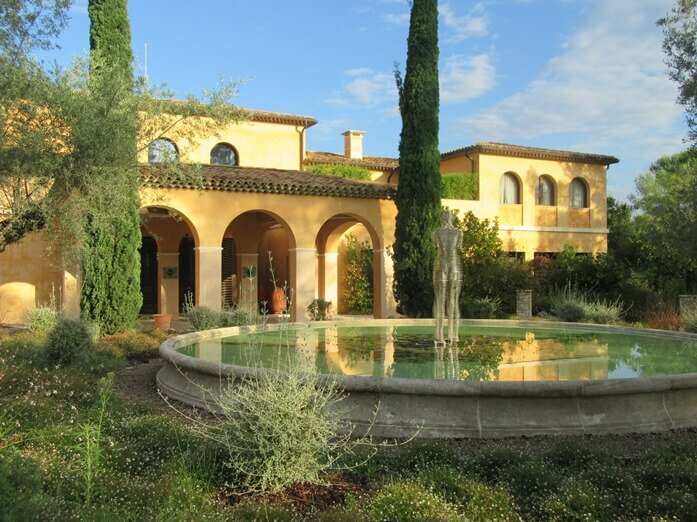 This former Augustinian monastery dating to 1284 is now shared by the monks and guests of this luxury hotel operated by Starwood. Echoing the austerity of monastic life and today’s fetish for minimalist design, the interior favors simple, but posh gray marble under vaulted ceilings, with splashes of papal purple, red, and orange in the textiles and fabrics. Downstairs, the monks’ former brewery remains, but production of the signature, dark St. Thomas beer is now carried out off-site by local craft brewer Matuška according to the original recipe. The highlight is the interior garden split between the restaurant and landscaped green garden planted with herbs (and sofas) for the food and cocktail menu. It’s an ideal place to enjoy the flight of “angel” cocktails, inspired by the original fresco on the ceiling of the bar. Guests can explore the cloister further on a special tour that includes the immensely atmospheric library. 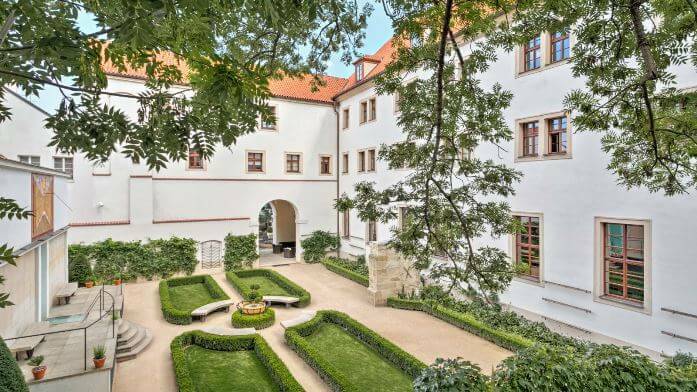 Few hotels in Prague come with more royal pedigree than this Renaissance hideaway in a romantic rose garden under Prague Castle. 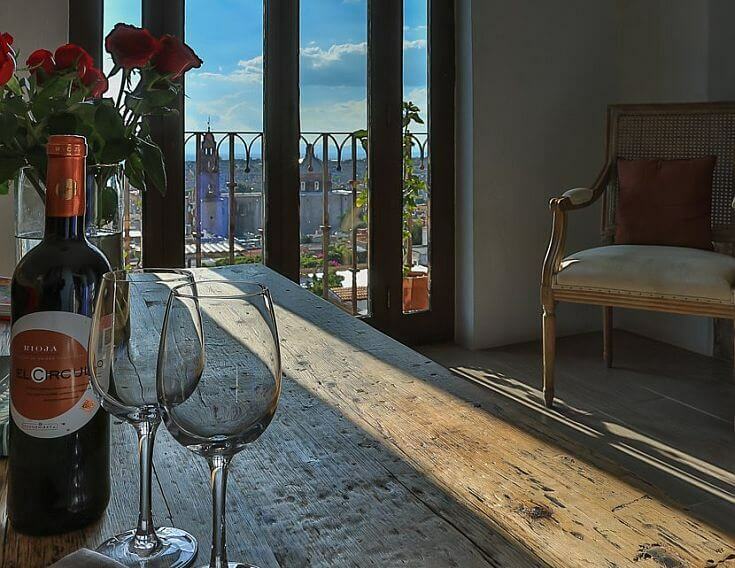 Built in the late 1500s, it was originally owned by Holy Roman Emperor Rudolf II, who let honored guests like the Danish astronomer Tycho de Brahe stay there. Nearly destroyed by neglect during the communist period, the hotel underwent a major renovation in the 2000s and now is one of the top (if not the top) luxury hotel in the city, full of Richelieu reproduction furnishings, original hand-painted wooden ceilings, and stunning views of Prague from the 17 rooms and 2 suites, each named after famous historical figures like Brahe. 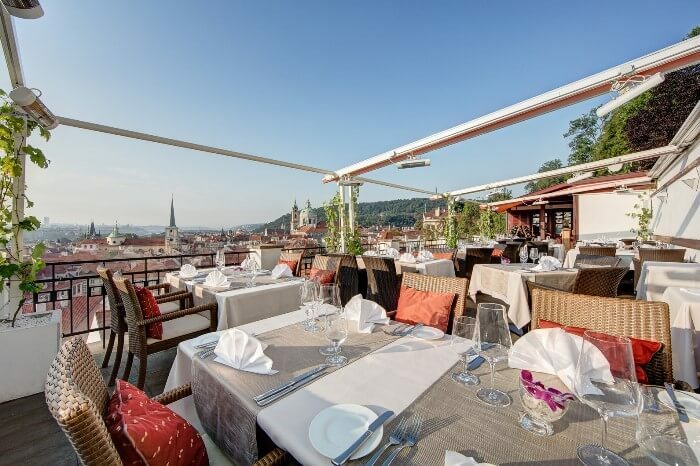 The rooftop restaurant Terasa U Zlaté is worth a visit on its own, thanks to the views and excellent Czech and international cuisine by renowned chef Pavel Sapík. For accommodation with literal frills, few can beat these three architecturally lush Baroque houses in the Mala Strana district, all within a 15-minute walk of each other. The “grand” main building, adjacent the American embassy, is built on medieval foundations, but its heavily ornamented façade and interior date to the Baroque period and makes heavy use of the era’s ornate wooden ceilings, crystal chandeliers, oak flooring, Persian carpets, period paintings, gold gilt trim, and queen beds actually fit for a queen. The ancient cellars of the main building are also home to the impressive Ecsotica Spa (open to any guest of the Alchymist, whichever the branch). 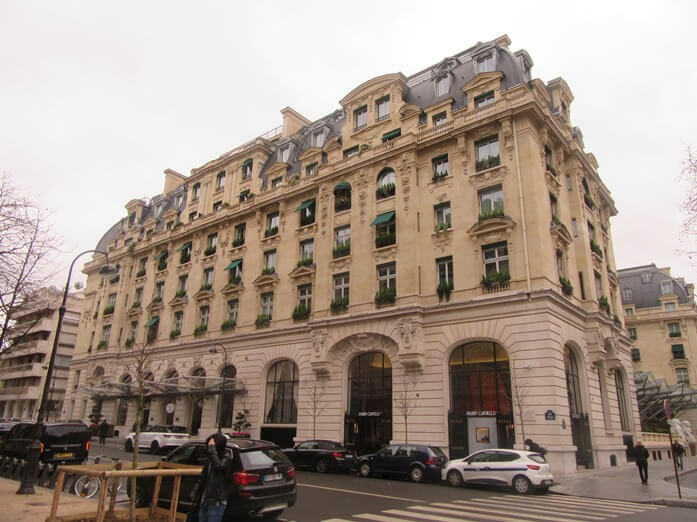 It’s fitting that this Art Nouveau hotel is across the street from the museum dedicated to one the style’s founders: Czech artist Alphonse Mucha. 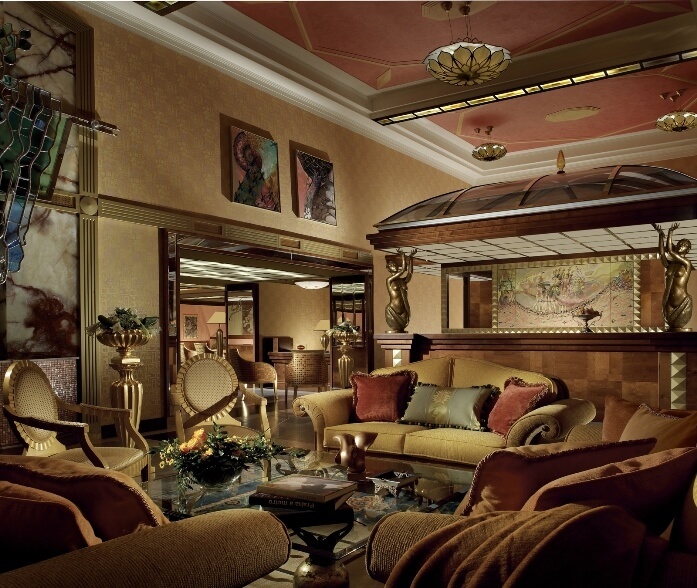 The popularity filled Prague with many Art Nouveau buildings in the late 19th and early 20th century and many of the finest examples are hotels today. 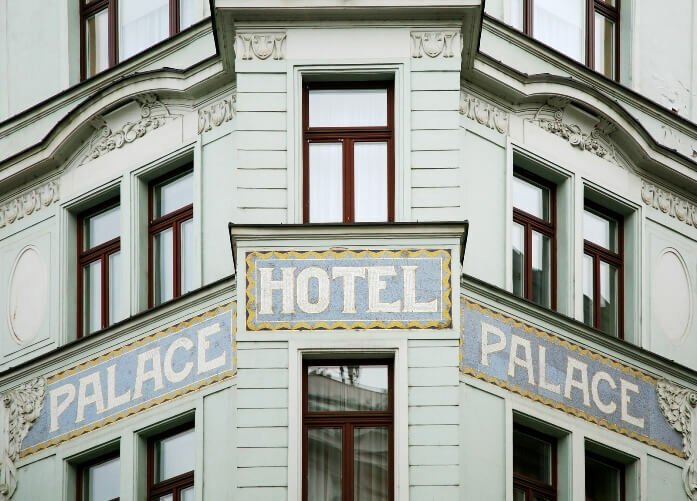 Opened in 1909 a few blocks from Wenceslas Square, the Palace Hotel boasts plenty of the style’s signature brass, chandeliers, art work, and organic lines throughout. The dark lobby and café are particular gems and include autographed photos of the famous clientele who have agreed, including Jacqueline Onassis Kennedy, Louis Armstrong, and Bob Dylan. 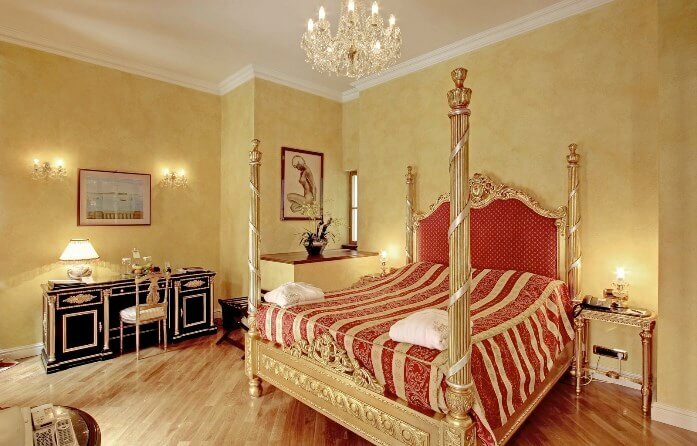 Upstairs, the 127 rooms and suites contain yet more turn-of-the-century flourishes like red and gold carpets and curtains, pale green armchairs, and and Carrara marble bathrooms. A “wow” usually follows the first step into the restaurant and café of this hotel built in 1914. Its centerpiece, the Café Imperial, is covered head-to-toe in millions of ceramic tiles, mirrors, and Moorish-style pillars depicting floral and animal designs. In its heyday, the café was a favorite haunt of Franz Kafka and the first president of Czechoslovakia Tomáš Masaryk, while today it’s the domain of Czech celebrity chef Zdenek Pohlreich, making seats particularly coveted. OK, it’s a more Nouveau than Deco the cafe, but the latter style reigns in the geometric designs throughout the rest of the hotel inside and out, with doses of Cubism in the furnishings. 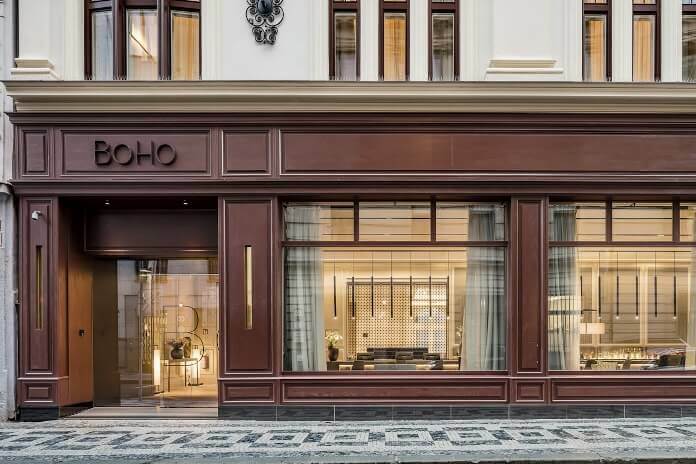 Anyone seeking the most current definition of Boho Chic need only step into perhaps the hottest hotel in the city now, just off Senovážná Namesti. Thanks to being named 5th Best Hotel in the World in a 2017 TripAdvisor poll, the former Art Deco post office is welcoming ever more guests into its lithe, gray, marble-topped lobby and lounge. The design savvy continues in the library just beyond, the downstairs spa and wellness center, and the 57 rooms and suites coated in blues, grays, and creams and enhanced further by tinted glass bathrooms, indirect lighting, and pinhole photography of Prague by artist Jordi Llorella. Lead photo by Mike Dunphy. All other photos by the respective hotels.